My name is Charles Aaron. I was born July 11, 1886, on a farm just south of Baltimore, Maryland. And for a while, I had the greatest job in the world. I was in charge of a major league baseball team. “The one that said I was right and you were wrong, sir,” I couldn’t help sounding as though I was gloating. Probably because I was gloating. “Which ones?” he asked. I had his full attention now – baseball had a way of doing that to him. Me too, really. “.375, with 12 hits,” I answered immediately. He looked at me suspiciously. I knew he would see it later in the article. The same way I had. But I really did know it, I’d just forgotten. So I didn’t respond, only shrugged. “So what are they going to do about it?” he asked me. “That is kind of cynical for so early in the morning, isn’t it?” I admitted. I didn’t get to chat with Mr. Durant very much over the next couple of weeks. I missed that, as he was always interesting to listen to. Plus, I wanted to talk about the World's Series that year, and the trial in Chicago. 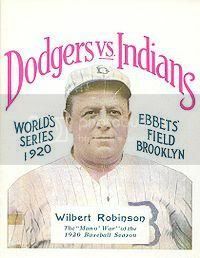 Both the Indians and Robins were in their first World's Series that year, and it was surely eventful. But that was a pretty impressive game for other reasons, too. The first ever World's Series grand slam was hit in the same game, as well as the first World's Series home run by a pitcher! Boy, I would have loved to have been there that day. But men who work for the railroad don't usually get to go to the World's Series, even when they're very low level "executives" such as me. Even when they work for very high level executives, such as Mr. Durant. But even while we were talking about this World's Series, the papers were full of talk about the previous one. And how the players had been approached to throw games. How cheap Charlie Comiskey was. It was…sad, really. Not that gambling and baseball hadn’t gone together for years. But this…it just felt…wrong. Unclean. You just don’t mess with the World's Series, do you? It was too important. Baseball, too, really. You have to understand. Baseball was a fascination for me long before I got to be involved in it. By the time I was ten, we were living in Baltimore. That meant I was there just in time for the “old” Orioles. John McGraw, Wilbert Robinson, Wee Willie Keeler, Hughie Jennings (remember that one – he’ll come up again). Some of the best, most exciting, most innovative players ever, all on one team. Slipping out after school to head over to Union Park was heaven. And nobody cried harder than I did when all the good players were taken to New York. Both times. 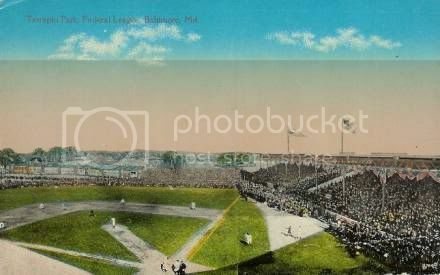 And when the league contracted in 1899, and left Baltimore out, even though we’d had a good record, and were doing well. And don’t even get me started on the American League first giving us a team, then moving them to New York to become the Highlanders. But we’d made up for it. We had a team in the International League pretty quickly after that. I had even played for them for a year or so, back in 1905 – 1906. Third base. But then I’d broken my leg sliding into second, and by the time I came back, the team had moved on. And, when I’m brutally honest, I was only a little better than average before the accident. After? Let’s just say that when a player whose chief asset is speed and defense can’t run or get to the ball very well, it’s time to think about alternatives. Thus, my time as an assistant to Mr. Durant at the B & O Railroad. Anyway, the minor league Orioles did decently, those first ten years or so. Until the Federal League drove them out of business for a while. But still, no matter how much it hurt to think that the seventh most populous city in the whole nation wasn’t a major league city, at least we had something. I didn’t know it, but we had a whole lot more coming. A very interesting start, with a great background. Will this be an early O's dynasty? petrel:Praise from a Hall of Famer; my day is made! That is my plan, yes. This is my first dynasty, so I'm going to start slowly. Thanks! So as you can see, I'm kind of wanting to try old school dynasty. Both in my setting (Baltimore in the 1920s), and in my dynasty style, liberally borrowing (stealing) from petrel and CatKnight. 1. Deleted most players from White Sox, entire White Sox franchise. Created new franchise in Baltimore. 2. Edited draft order, schedule to fit story. 3. Used actual dimensions for Oriole Park. Could not find capacity, so used 20,000 (not unreasonable for the time). 4. League Settings: Manager difficulty. Medical Staff Impact -50. Promotion 0/50/50/50, Contract Renewals 20, Trade Frequency -20, Stats vs. Scoutings +50. 5. Player Settings: Aging Randomness 50, Draft Predictability -50. Happiness effect on negotiations +20, on performance +20. Talent distribution 8, 16, 12, 40. 6. Released all minor leaguers for all teams to Free Agent pool, to fit story requirements. 7. At least to start with, there is no restriction on trading draftees. I plan to change this as the story progresses. 8. If BM wants to create players to fill out a draft, I'll let it. Shouldn't be a problem for a while, with only 16 teams. 9. As always, reserve the right to change any of this. Throughout October, I followed both the World's Series and the grand jury in Chicago. Even then Chicago was known for its...interesting...politics, so it really wasn’t a surprise when two of the players’ signed confessions mysteriously disappeared. And when the grand jury showed signs of returning favorable decisions, we all thought it was over, and that nothing would be done, again, to deal with the problem. As is so often the case, we were wrong. Truth was, I hadn’t seen George for the past couple of weeks. He was either in his office on the telephone (long distance to New York and Chicago – I didn’t want to think about how much that must have been costing the firm), or on trains to and from those cities, or in meetings there. I just figured he was talking to the companies for which he served on the board of directors. Before I go on, a bit about Mr. George Durant. Mr. Durant was a very powerful man. I used to call him “Vice-President in Charge of Everything” – but never when he could hear me. At the time, he was a vice-president at the Baltimore and Ohio Railroad (where I was his assistant). This was just after leaving his previous job as a vice-president at Radio Corporation of America. And he still had stocks in both of those companies. Plus General Motors. And a firm from New York called the Computing – Tabulating – Recording Corporation. Today it’s known better as International Business Machines, or IBM. Money was not a problem for Mr. Durant. And even when those rumors came up about how some of the other, smaller companies in which he was invested had made major profits during the Great War, well, nothing ever seemed to come of those rumors. Ever. I had some guesses about all his mysterious recent doings. He surprised me. I didn’t like where this was going. By this time I had a wife, Susanna, and four children. William was 10, Jacob was 8, Gregory was 7, and Michael was 5. We’d had girls too, but none of the three had made it past their first week, except for Sophie, who'd made it almost to her second birthday. In all this, we were not uncommon for Baltimore in the 1920s. If anything, we were doing better than average. But I really didn’t want to think about either moving, or, worse, not having a job. “Not really, sir,” I hedged. “How would you like to run a professional baseball team?” he interrupted. “I’m not joking, Charlie.” And indeed, just from the dark clouds that passed over his face when he said it, I could see that he wasn’t. This was the George Durant other people saw most. The man of business. You can bet I got serious right quick! Because he seemed so serious about it, I decided to play along. I gave it a moment’s thought. That’s about all it took, except for one thing. My very perceptive boss just kept looking at me, knowing I had one more thing in mind. “And?” he said. It never pays to keep things from Mr. Durant. “And since it’s you asking, I figure I’m in a no-lose situation. If I do it, and do it well, as I expect I would, then everything’s fine. And if it doesn’t work out, I don’t see you leaving me out on the street for it.” I knew he might not like hearing that I was considering the possibility of failing, but he should know what I was really thinking. “So what’s this all about then?” I asked. Last edited by birdsin89; 03-15-2011 at 11:37 AM. Oooo. Involvement in RCA and the proto-IBM. Today, that would be the equivalent of owning Apple stock and Oracle. So did the old White Sox just disappear completely? I like the fact that the main character has children. Will we get to see how Baltimore changes over time? Yep, Chicago is a one-team town, at least for the first year. The objections to that will come up. I'd love to show the changes in Baltimore - even the very depressing ones (and there are many). And it'll be a while, but I do have plans for Aaron's wife and children, too. After all, the children are all boys - surely some of them will like baseball. Thanks! AND A NOTE FROM THE FUTURE: 9/30/2017 Photobucket has now requested that I give them $400 per year to let all the pictures included throughout this story be shown. This will not happen. So you have my apologies for all the little boxes trying to get you to go to Photobucket. I hope the story is still enjoyable, and thanks for reading. Last edited by birdsin89; 08-25-2018 at 12:57 PM. Because of this, I was prepared on October 29, when league presidents Ban Johnson for the American League and John Heydler of the National League called a joint press conference to address “matters of great importance to the national game.” As expected, Johnson took the lead. He didn’t look particularly happy about what he was going to say. Maybe that’s why it only took him a minute to say it. “Thank you for being here. You are all aware of the grave situation facing our great game. No one takes these problems more seriously than the two league presidents and the sixteen men who own major league franchises. That is why we have decided that a major overhaul must happen, and it must happen sooner rather than later. “There was talk for some time about appointing a commission to oversee the game. We’ve decided, instead, to appoint a Commissioner. One man, who will have the authority ceded by the owners, to clean up the sport itself. “Now for this one man to have the kind of authority he’ll need, he must be a man of great wisdom and integrity. Fortunately, we have found that man. Even more fortunately, he agreed to hold the position. And so gentlemen of the press, I give you the Commissioner of Baseball, the Honorable Senator Thomas J. Kimball.” With that he shook hands with the man who came to the dais, and returned to his seat near the side of the room. Senator Kimball stared at the crowd for a moment. A tall, fit man in his fifties, part of his political persona was that he favored fashions that were some years out of date. His mustache was gray, but his hair was still dark, parted on the left, and thinning. 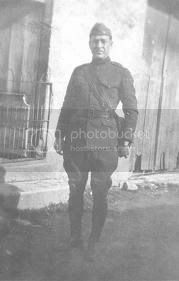 He was known to be an avid golfer, and had learned from Teddy Roosevelt the joys of exercising. Unlike most who Roosevelt had forced to join him on his jaunts, Kimball had stuck with it. He smiled again, the classic political smile, and began speaking without looking at the note paper he’d brought with him. “Gentlemen, as Mr. Johnson has said, we don’t need to tell you about the problems facing baseball. Now I have not been brought on board to make them better. I have been brought on board to make them disappear. I noticed that the vote was 15 – 0, not 16 – 0. Of course, I knew why, as well as why Charles Comiskey, the owner whose legendary cheapness had led to the current scandal, wasn’t present in the room. If the reporters noticed either of these, they didn’t say anything. He paused to let that sink in. I could see some stunned looks on reporters’ faces around the room. I was sitting near Dale Lockman of the Baltimore American, so I heard him lean over to someone on his other side and whisper “We fought a war to get rid of Kaiser Bill, and gained a Kaiser Tom.” I suspected I’d see a similar line in the papers tomorrow. I also suspected that Commissioner Kimball had just picked up a nickname that would go with him for a long time. Behind his back, of course. “Gentlemen, this game is beautiful. But it’s sick. It has a tumor. And I am going to remove it. He was right. I knew most of it, because Mr. Durant had told me about it after I agreed to play a big part in it. But this? This was…ambitious. Aggressive. This changed baseball a lot. “Here are my points, gentlemen. There are further details in the information packets. And to be honest, it’s happening so quickly that some of the details haven’t been worked out yet. But here they are.” For the first time, he looked to the note paper. And so Kimball laid out his ten points. Inevitably, the press dubbed them "The Ten Commandments" when reporting them, and it stuck. “First, the banishments. 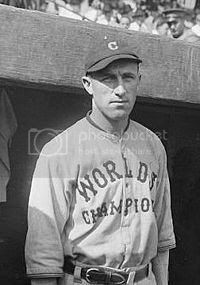 All players accused of gambling on the 1919 World's Series are banned for life. There will not be any appearance of guilt in this league. “All players on the Chicago White Sox team who played in that World's Series, and may have known of the gambling taking place, are banned for life. “Hal Chase and Heinie Zimmerman are widely known to be in association with major gambling interests. They are banned for life. "Benny Kauff is under indictment for auto theft, and associating with known felons. He is therefore banned from the game. He took a breath. That had been a rather long Point #1. Still, he knew this would be a big one. “The Chicago American League franchise is voided. The league has paid Charles Comiskey for the value of the team. “A new franchise has been granted to Mr. George Durant, to be placed in Baltimore, to become the Orioles. “Each team is required to offer, for $3,000 each, one player to the Orioles. American league teams will then be required to offer one additional player from their own rosters, for $5,000 each. I looked over to where the St. Louis Cardinals executive Branch Rickey was sitting. He looked…conflicted. I later realized that it was because he was glad that an idea of his was being implemented, but upset that it wasn’t just his team doing it. “All minor league contracts are null and void – all minor league players are released from contracts effective November 10. “The 1921 major league baseball season will be shortened by one month. It will begin in May. This will allow teams time to stock their systems, if they desire. So far, he knew he was doing some radical things, but nothing that was really going to upset the team owners. With another deep breath, he changed this as well. “To avoid the pay inequities, and frankly gentlemen, blatant stupidity among the owners, that contributed to the gambling issues in the first place, the Reserve Clause is overturned. The standard –“ He had to stop and speak up, to get over the size of the protests from the team owners. Stoneham was on his feet, ready to protest. Stoneham sat, reluctantly. When he was satisfied that the room was quiet, Kimball continued. “The standard Reserve Clause that has been in all player contracts will not, ever, be there again. Players are free to contract with teams at their discretion. Teams are free to enter into mutually acceptable agreements of varying duration. "And finally, a system of legal and binding arbitration will be set up for players or owners who choose to go that route. Last edited by birdsin89; 10-15-2010 at 02:04 PM. I like the idea of a new commissioner to pretty much get rid of the reserve clause - which, last time I looked, has never been implemented into the Baseball Mogul game. I hope the new commissioner got a lifetime appointment, or he shall have to fight for his job. My understanding is that Judge Landis refused to serve unless he got a lifetime appointment. If Kimball doesn't have one, then let the politicking begin! petrel: Yes, quite a bit of my first several entries are attempts to fit into the story some of the standards of BM. Possibly clunkier than I'd like, but on the flip side, in some cases it gave me story ideas that I wouldn't otherwise have had. Actually, the lifetime contract is not really there for Kimball at this time. And politics shall commence. And continue. I had the job. The city had a team. In fact, by the end of November, the team had a stadium. The former Terrapin Park, home of the Baltimore Terrapins of the Federal League, had become home to the Baltimore Orioles minor league team when the Federals failed. 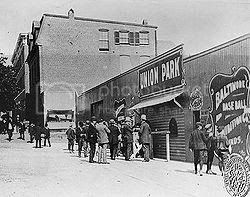 Located at York Road, between 9th and 10th Streets, it was familiar to Baltimoreans who’d seen either team play there. We quickly entered into an agreement to house the team there when Jack Dunn, owner of the minor league Orioles, called Mr. Durant the day after the Commissioner took office. Dunn could see the way things were going, and had already made arrangements to move his team to Toledo, Ohio. This was sad for me, as Dunn’s first Orioles minor league team had had to move to Richmond when they could no longer compete with the Terrapins. Now, after struggling back with a new team, another major league was forcing him out. I said as much to Mr. Durant. So now it was time to look at my team. Let me say that again. “My” team. I was in charge of the team. I had Mr. Durant’s confidence. I had Baltimore’s trust. I had no idea what I was doing. And I didn’t have a whole lot to do it with, either. I know the other teams were forced to yield people on their rosters to build our team. I'm convinced they went to the local high schools, signed a player or two, and then sent them on to us. And didn't even sign the good high school players. But there were three problems with this list, and the scout ratings that came with it. 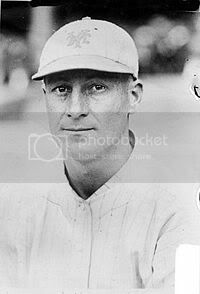 One was our "scouting department"...which at the time was a man named Bob Wilson, who'd scouted for the Terrapins in the Federal League. Mr. Durant was working on getting more scouts, while I tended to the players, but it wasn't happening quickly. The problem was that Wilson wasn't all that great. I didn't trust his numbers, no matter how much I wanted to. I knew it would cost a good bit of money to get better scouts, but I also knew that I needed to do this. Second, between all the players on the team, there was zero major league experience. None. Not a bit. None of these men had ever played on a major league level. None of them had ever played on a minor league level. As far as I could tell, none of them had ever attended a game. And I made a small private bet with myself that most of them wouldn't be on our major league roster this time next year, either. Finally...this was it. The entire team. If one player got hurt, we had nobody to replace him. I needed to sign some players who I wanted, and fast! And while I was at it, I needed to get a manager. I wanted someone who had some major league experience (to counter that annoying fact that none of my players did). I wanted someone who they could respect, both as a manager and a player, who'd been there before. I wanted someone who'd been on some really bad teams, as I was beginning to suspect this one was going to be historically bad. And if I could find all that, and he had some ties to the community, that would be even better. Fortunately, there was someone who met all of those. 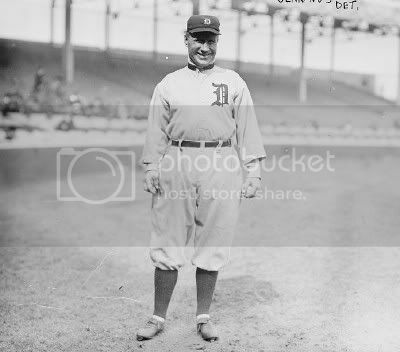 He'd been a big league manager for the past twelve years, but had been let go by the Tigers after the 1920 season, and hadn't found another job. 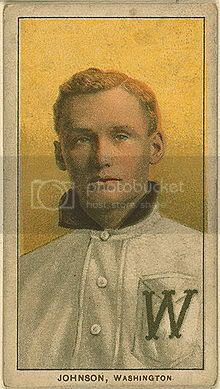 He'd played on some World Champion teams in the 1890s, and managed in three World Series with the Tigers. Some of his Championship teams had included the Old Orioles of the 1890s. And, I admit it, he'd been one of my heroes growing up. And best of all, when I called him, he was interested. Done. The Baltimore Orioles sign Hughie Jennings as their manager. Author's Note: Actual baseball next post, promise! Last edited by birdsin89; 03-15-2011 at 11:41 AM. Reason: Grammar and clarity are good! Still needed some other players, though. But without scouts, how could I contact them? How could I find them? Turns out that one of the reasons the league postponed the start of the 1921 season was in order to compile a list of Free Agents, along with contact information. Granted, in these days when far from everyone has a telephone in his home, the "contacts" were sometimes "Call Duffy's Tavern, ask for Johnny, he'll send a runner to come get me." It made for some fun calls. Since we didn't have much in the way of scouting, I decided to lean on Hughie quite a bit, and to stick with someone known by the few holdovers we still had from the White Sox organization (they had to be low-level holdovers, though, as Mr. Kimball had otherwise destroyed the whole thing). I also knew I wasn't going to be able to sign many people who were worth having right away. They would all need to play in our minor league system...which I had only managed to put together completely within the past week. So my first call was to Ted Lyons, a fine young pitcher who had played one year of low-level ball and been heavily scouted by the White Sox, going 6-4 with a 3.17 ERA in 9 starts. It wasn't terribly difficult to sign him, really, with a bit of negotiation, though the price he commanded (and got) was a bit of a shock that I'm going to have to learn to deal with. 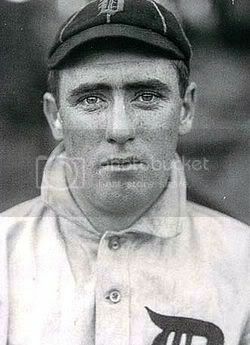 Ted Lyons signed with the Orioles for $5700 for seven years. In addition, the outfield was not a position of strength for me. All right, to be fair, I had no positions of strength. I called Kiki Cuyler, who looked to have great potential. He thought so too, and thought he'd have better luck reaching that potential on a team that wasn't as bad as ours. Homer Summa had very politely declined. Frank Welch hadn't been so polite about it. One year of experience on the Athletics, and he thought he was going to be something. Well, I thought so too, or I wouldn't have called. Tex Jeanes was different, though. He'd played a year of pro ball and had been scouted extensively by the Indians, but hadn't gotten anywhere near the majors. I was able to sign him for $3600 for 7 years. And that was it, for the moment. Mr. Durant put a stop to me signing any more free agents for a while, as the money simply wasn't there. We had the players come to the University of Maryland in College Park to work out, so that Hughie and his coach (not yet plural) could see what he had to work with. And before we knew it, it was May 1, and time to play. I didn't expect us to win. My biggest concern was whether anyone would show up. Our first day in our new life. I came out early to be there as the crowd filed in. As the players took the field, doing their stretches. Playing catch. Taking batting practice. And I was just taking it in. My worries about anyone showing up were taken care of quite early. Even when I arrived, I could see that the crowd waiting to buy tickets was large. Very large. Well, for a very bad team, in a new city, with an old ball park, anyway. I really didn't think we'd have any trouble selling all 20,000 tickets today. Hughie had decided that Ted Lyons was our best pitcher, and so he was going to go today. Honestly, while I'm sure that one day we'll have enough conceit on our team to make who starts the first game a matter of contention, it appears to me that every one of our players is just happy to be playing ball in the major leagues. Well, except for Josh Kress, who I've sent to our Rookie-level farm team in Greenville, South Carolina. And Luke Symuleski, who's pitching for our A team in Macon, Georgia. And I left it to the presidents of those teams, as well as our AA team in Charlotte, North Carolina and our AAA team in Norfolk, Virginia, to fill in the rest of the rosters. Can't imagine how they did, really. Of course, by starting against the Senators, our team of nothing but rookys is facing Walter Johnson. But he's only won 305 games so far. Right. He's won more games in his career than our team will have played until early 1923. May 2: The Orioles got 8 hits, while Keith Steger only allowed 7 - but the Senators make theirs count, and win, again by a score of 5 - 1. There's news to come out of this. The bad is that Jeff MacMaster has to leave the third game after just over three innings when he doesn't get his hand out of the way of a line drive fast enough. The team doctor tells us that the wrist is fractured, and MacMaster will be out for at least a month. There is good news, though - not only did we sell out the first game, but we sold out the next two as well. Each time, we had to turn people away. Mr. Durant is pleased, and authorizes me to sign two more free agents. It looks like the season is going to be the Baltimore Deadbirds getting knocked around the American League. You're going to have to keep the dealing hot and heavy to get anything for those stiffs on your roster. petrel: Fine idea, but I think I'd have to trade the entire team to get one decent player, along with all the cash I have! No, I'm afraid we're going to have to pick up a few here and there, and suffer through some badness. At this point, the main thing I've got going for me is that free agency and the draft are new, and some of the rules that will exist in later years don't exist yet. Thanks! I'm amused to see that Kiki Cuyler, Homer Summa, and Frank Welch are all still available. But I look for pitching first, and sign Tommy Thomas for $4500/year for seven years. I return to Cuyler, and, figuring that he won't want to sign long-term, as I've been trying to do with the others, offer him two years at $4500. He surprises me by countering with a third year player option. I make my offer three years, and he takes it! I've got a right fielder...with no major league experience. Why should he be any different? Cuyler immediately begins patrolling right field for us. We also take the opportunity to send Andy Ford down to Macon, and put Mark Wandesford in Greenville. Hughie wants us to call Josh Kress up, so I do. And then darned if he doesn't put him in the lineup right away! Meanwhile he moves Thomas into the # 2 slot behind Lyons. And we get a day off to wait for the World Champion Cleveland Indians. While I'm waiting, I get a copy of The Sporting News, to see what they think is going to happen this year. It's not pretty. I understand, we're not going to do well. But I think predicting 28 wins, against 102 losses, is uncalled for. I point this out to Hughie, hoping he'll tell me that we'll be better than that. He just says, "Well, Mr. Aaron, it wouldn't be as bad as the old Cleveland Spiders." No. But it will be worse by eight games than the 1916 Athletics, after Connie Mack sold off practically everybody. May 5: Lyons pitches well enough to win, giving up only two over 8 innings. But we're tied at 2 going into the ninth, and the kid just can't keep it going. He gives up two more, and we lose 4 - 2. May 6: Tommy Thomas makes his debut for us. Not a lot of positives from this one, and we lose 7 - 2. May 7: Steger pitches decently again, and we go to 11 innings. And then lose, 6 - 5. But the good news is we finally hit our first home run. The bad news is, Keith Steger, the pitcher, hits it. We're going on our first road trip. To play Cleveland some more. Sure, kick us while we're down, why don't you? May 9: Thomas gives up 6 hits. The Orioles get two. Indians 4, Orioles 0 Plus, Keith Steger is reporting soreness in his shoulder, and will miss at least one start. Too bad he's also still our best power hitter. May 11: Back to normal. That is to say, Indians 7, Orioles 3. We're 0 - 10. We've helped Cleveland to a 9 - 1 record and first place by 1 1/2 games over the Yankees. Last edited by birdsin89; 05-06-2011 at 01:27 PM. "Charlie," he smiles at me. "Come in, young man." I walk into his office. It's our travel day, and the team is on the field. Hughie was planning to give them a day off. I suggested strongly that they might want to work on fielding. He recognized the...urgency...behind my words, and so they're doing some fundamentals drills in the field, and taking extra batting practice. I had popped by Mr. Durant's office, mostly to see if he was as angry as I expected him to be. Oh, sure, I've made the point about how he's really a very pleasant man, and I knew that to be true. But his team was terrible. And he didn't usually suffer "terrible" very well. "Charlie, it's all right. I'm not upset with you." He'd read my mind. Again. "Charlie, your task is not to win a pennant. Not this year, anyway. Why don't you try just building me a team?" I think for a moment, and decide to say it. "Does this mean I can go sign some more free agents?" He smiles again. "I've been expecting you to ask that. Go get two more. Then, wait. Let's see how our finances look for the rest of this month." This sounds reasonable. So, after appropriate pleasantries, I make a dignified exit. And run a most un-dignified race to my office, to get the free agent list out and get on the phone. Lewis Mack is batting .355 for us, leading the team by far. But our scouts (we're up to two, now) tell us that he'll be, at best, a serviceable time-filler. It occurs to me that that phrase sums up most of the players on the team. Serviceable time-fillers, waiting until I can get some players who are actually good and belong on a major league roster in here. (It occurs to me further that the same might be said about me. I try to ignore this.) Even with Mack batting well, we need another catcher. My scouts have found an 18 year old playing in one of the minor leagues that remained independent. It takes longer to get the long distance connection to talk to him than it takes to convince him to sign. Joe Klinger will be an Oriole for seven years (or until I trade him - if anyone wants him). He is immediately assigned to the major league roster. We move Vinnie Cormican, who's batting .083 so far, down to Greenville to make room. When he calls us back (collect) to tell us that he's on his way, he mentions another 18 year old on his team, who's started two and pitched to an 0.82 ERA. At this point, that's enough for me. Joe puts him on the phone, and I sign Bill Hallahan, again to a seven year deal. He'll come up in place of Steger for a bit. O. J. Harty will move up to the number 3 spot in the rotation. May 13: WE DID IT! It finally happened! Mark May 13, 1921 down as the day the Orioles won their first game! Lyons was masterful, scattering 7 hits by the Clevelands, only one for extra bases, allowing 2 runs to score. Meanwhile, he and his teammates (he got one hit and scored) were putting together only five hits. But, Orioles 3, Indians 2. I'm not entirely certain I was this happy when my first son was born. In other news, a jury deliberated less than an hour before declaring Benny Kauff not guilty of the charges against him. 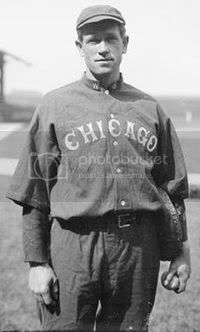 Kauff had been a star in the Federal League, and when it ended, he had gone to the New York Giants. Commissioner Kimball had banned him from baseball while the auto theft charges were going through the courts, back when he took over and banned several people. Now that he's been found not guilty, I wonder what Kimball is going to do. May 15: You're kidding me. I was there, and it seemed unreal. We jumped to a 3 - 0 lead, only to give it up and fall behind 4 - 3 in the third inning. But, unlike any other time, we actually scored in the bottom of the frame to tie it at 4. And then scored one more in the fourth, and three more to ice it in the eighth. Orioles 8, Indians 4. Our first series win. And Keith Steger is back now. We head to Boston for three, then back to Baltimore next week. Around the league, in Detroit, Donie Bush steals his 400th base, which still leaves him almost 400 behind teammate Ty Cobb. Bush is one of the better players of what Mr. Ruth promises us is a bygone era. From 1910 - 1919, Bush led all baseball in drawing walks. Not the kind of power display that the Babe offers. May 18: Bill Hallahan makes his first start for us, and makes it look easy. He goes all nine and gives up only one run on four hits. It's a good thing, as we only scrap together two ourselves, but still, Orioles 2, Red Sox 1. Another series win, and our first winning streak ever! Last edited by birdsin89; 01-23-2012 at 10:34 AM. It seems that a lot of the Deadbirds' losses have been by one run. It might not take very much to put the team in contention. Great job against the Red Sox. I agree with petrel and jshaw: Solid beginning to the dynasty, and while the Orioles clearly aren't going to compete this year...they're not that far away. A run in 1922 is... doable.